Our Space Cadets Party kit contains everything you need to throw an out of this world space party. Each Space Cadets Party set contains – 12 paper plate, 16 napkins, 1 party garland and 12 pairs of funky 3d space glasses. Set a course for the stars with this fabulous Space Cadets party Kit. 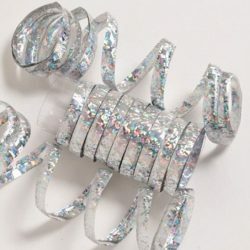 The kit contains everything you need to throw an out of this world space party. 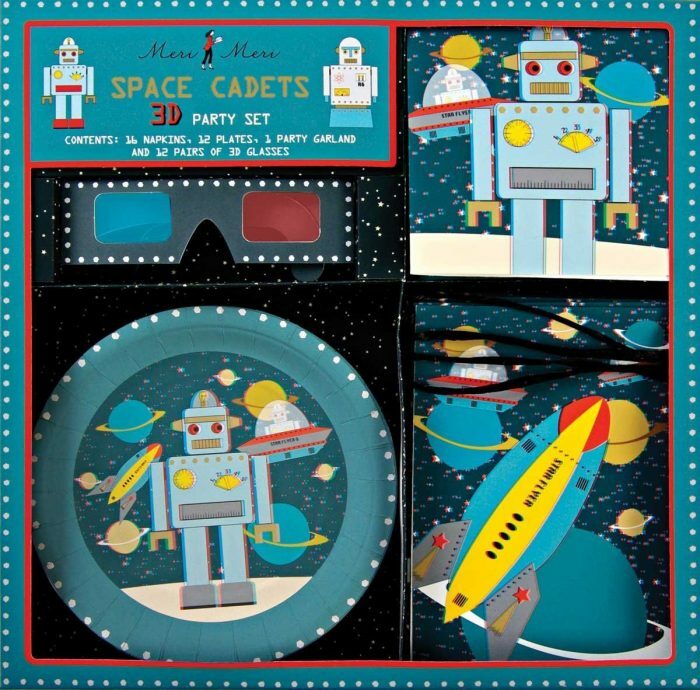 Each Space Cadets Party set contains – 12 paper plate, 16 napkins, 1 party garland and 12 pairs of funky 3d space glasses. All the items feature a cool 3D space robot design, which jumps to life when you put on the special 3D glasses. Get ready to blast off for the coolest space party in town. 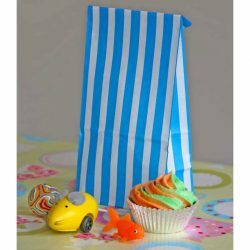 Blue striped block bottom paper party bags, that are big enough to hold loads of party treats and of course a piece of cake! The bags measure approximately 10cm x 24cms. 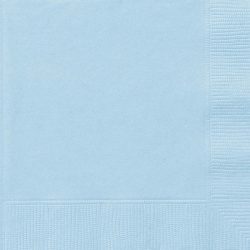 Pack of 8 blue striped paper bags. 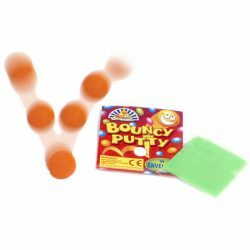 The fun bouncy balls will entertain for hours. 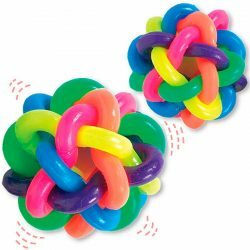 4cm in diameter they can bounce really high into space!